Celebrity Century Moving to France? 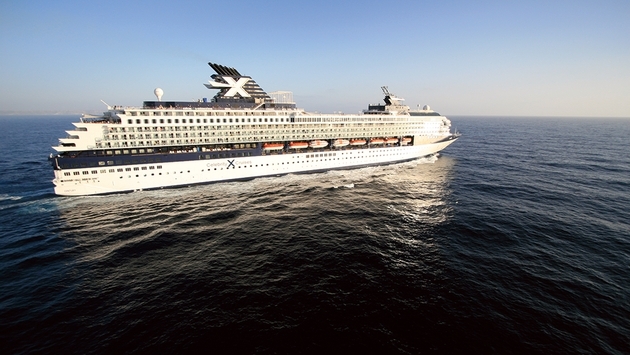 Celebrity Cruises has announced that the 19-year-old Celebrity Century will leave its fleet in April 2015, but isn’t saying where it’s going. It appears to be headed for a French cruise line, CDF Croisières de France, which is part of parent company Royal Caribbean Cruises Ltd.’s European operation, according to Seatrade Insider, an industry publication. Other members of the Century class have already left the fleet — the Galaxy and Mercury now operate for TUI Cruises, an RCCL joint venture with German travel company TUI AG — so the Century is the smallest and oldest ship in Celebrity’s fleet (except for the 98-passenger Xpedition ship). To bid it farewell, Celebrity has organized several celebratory events, including a “President’s ‘Celebration of the Century’ Cruise” with President and CEO Michael Bayley, a 14-night voyage departing Singapore on March 8, 2015. The 1,814-passenger Celebrity Century — introduced just as Century, before many cruise lines started adding the company name to the ship’s name — attracted positive attention for the company’s first ice-topped Martini Bar and Murano, a European specialty restaurant with tableside preparation at a time when alternate eateries were rare. Through April 30, those who book a Century cruise departing from this April through April 2015 will get up to $200 per stateroom onboard credit and, through Feb. 28, a perk through the “123go!” promotion — it offers a free beverage package, free gratuities or more onboard credit. Through April 2015, the ship will visit 77 ports across 32 countries on exotic itineraries that include Manila and Boracay, Philippines; Bandar Seri Begawan (Muara), Brunei; and Yangon (Rangoon), Myanmar. The ship also will sail through Alaska, the Caribbean, the Middle East, the Pacific Coast and South Pacific.